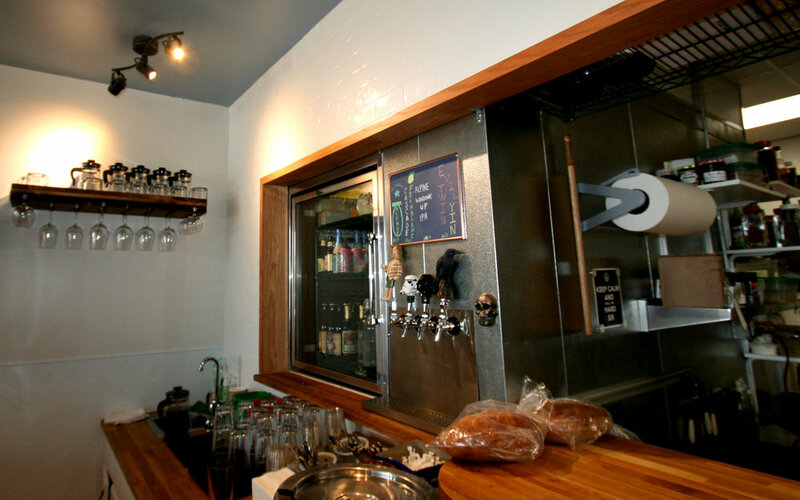 A small neighborhood eatery with a full-service kitchen and beer and wine bar, the project was a compact design for kitchen, seating and restrooms in a small 970sf space. Converted from an existing corner store in a retail strip center, the concept revolved keeping the existing terrazzo floors and exposing the structure to open the space. The project included new men's/women's restroom, new HVAC and exhaust systems, commercial walk-in cooler, exhaust/ansul hood and grease trap.